We painted hundred’s of kids to date and there is not a single incident of kids suffering from side effect. The brand we uses, “Snazaroo” comes from from United Kingdom (UK). Our face paint make use of hypo-allergenic and anti-toxic paints. You can easily remove it by wet tissue or warm water! On average, we can paint approx 15 kids per hour, depend on complexity of the design. However, you can be sure that we pay special attention to the birthday kid or as suggested. What's the recommended age group? 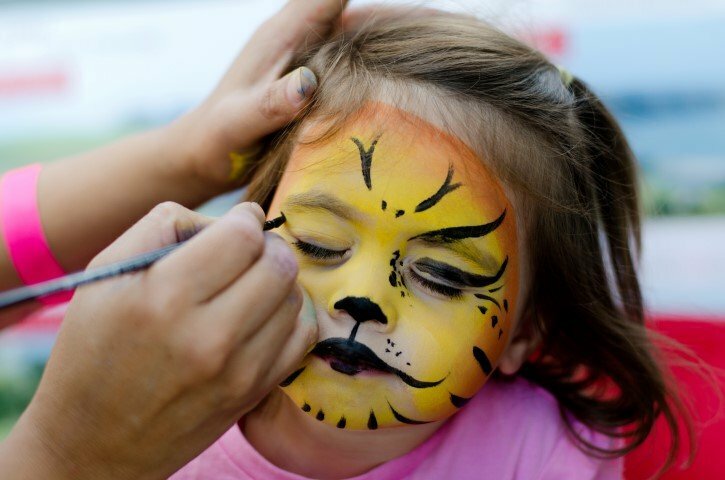 We recommend that kids age 4 and above will be ideal for face painting. Having said that, kids aged 3 and above might also be possible, provided that they sit on the adult’s lap, accompanied when he/she gets painted. If you can find it on Google, chances are we can draw it. However, do take note that more complicated design will take more time to complete. 22 Sin Ming Lane #06-76 Midview City Singapore, Singapore, 573969, Singapore.